Where does it end? With $19+ Trillion in debt and forever climbing? 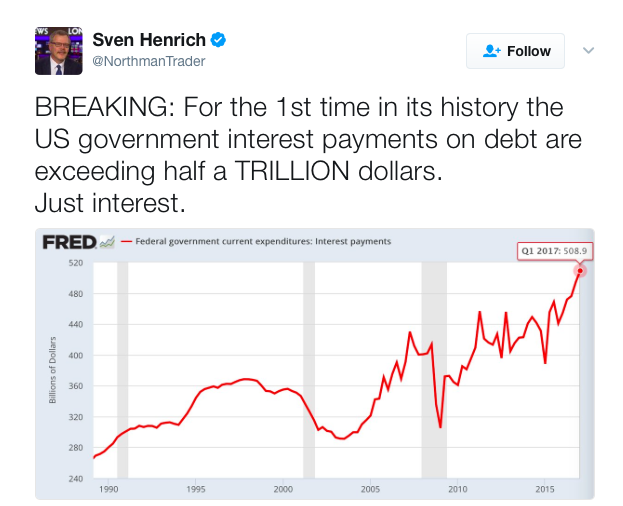 Just to service that debt the annual interest payment is now whopping $ 508.9 Billion. It will probably be $1Trillion in just a few short years. Please read the rest here; Will ‘Trumponomics’ Bankrupt America?